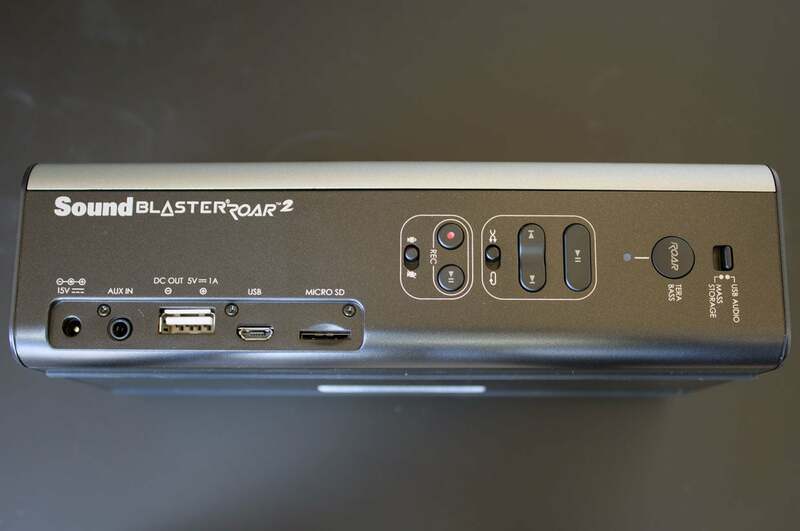 I’ll say it again: Creative’s Sound Blaster Roar 2 is the Leatherman of portable audio devices. 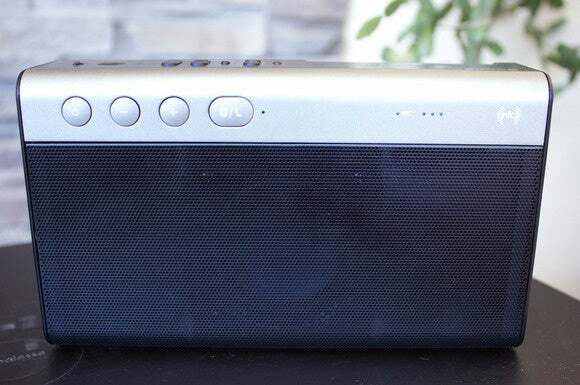 It’s a Bluetooth speaker of course, albeit in a smaller and less-weatherproof enclosure than either the Big Jambox or the JBL Xtreme, but the Roar 2 delivers a bunch of features those speakers don’t. Festooned with buttons and sockets, the Roar 2 has a distinctly retro look, but this is a definitely a modern device. There’s NFC (near-field communication) support, so you can pair it to your Bluetooth source with just a physical tap and stream music from your tablet or phone to the speaker. You can hardwire it to your PC or Mac and use it as a USB audio device (DAC and speaker) or a microSD card reader. There are so many buttons, sliders, slots, and sockets that Creative couldn’t fit them all on one surface. There’s a built-in music player that can play music that you’ve stored on a microSD card. You can also store audio recordings—including your phone calls—on that media, using the Roar 2’s onboard mic, an auxiliary mic you provide, or a connected Bluetooth device. Laws governing the recording of phone calls vary by state, so act accordingly. Finally, you can use its onboard battery to charge your smartphone or tablet (although the USB port delivers only 1.0 amp of juice to a connected device). About the only feature it’s missing is a bottle opener (I’m kidding). 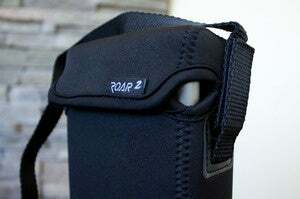 The Roar 2 uses one amplifier to drive a pair of 1.5-inch high-frequency drivers, and a second amp to power its center-mounted 2.5-inch woofer. Rectangular passive radiators on the left and right endcaps deliver additional bass response. 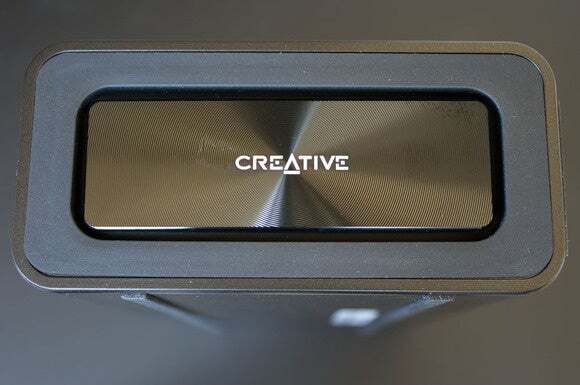 If you want more oomph, especially when listening at lower volume, pushing the Roar button on the top of the speaker activates Creative’s TeraBass to significantly boost bass response. Creative’s marketing stretches the truth by claiming the Roar 2 has “five drivers.” In reality, two of the five are passive radiators on each end of the enclosure. If that’s still not enough for you, a second press of that button activates TeraBass with Roar, which increases loudness and boosts bass response even more while expanding the soundstage with psychoacoustic tricks, but Creative warns that this mode should be used only when the speaker is plugged into a power outlet. It apparently will drain the battery very quickly. An LED informs you which mode is active: Green for TeraBass, white for TeraBass with Roar, and off when those modes are defeated. I thought the speaker sounded best without any manipulation of the audio signal, but you might disagree. The free carrying case would be much more useful if the speaker could be used while it’s inside. You can operate the Roar 2 either vertically or flat on its back. Rubber bumpers on both sides will prevent it from marring your furniture. The speaker supports the AptX and AAC audio codecs, but it doesn’t send transport controls back to a Bluetooth device. You can adjust playback volume from the speaker, but its play/pause, track-forward/back, shuffle, and repeat buttons work only with its onboard music player. That’s kind of a drag. Also a drag: The otherwise very nice neoprene carry bag. It does a great job of protecting the speaker in transit, but you must pull the speaker out of the bag to use it. Oh well, at least it’s free. The Roar 2 is a very good, well-balanced speaker whether you’re using it for near-field listening or looking to fill a moderately large room with background music. Bluetooth range was also impressive. With my phone in my home office on its charger, I was able to take the speaker to every room except my difficult-to-penetrate home theater and the master bathroom (which is on the far side of the home theater). I found the Big Jambox to be just a bit more musically pleasing to my ears when playing to fill a room, but I liked the Roar 2 much, much better for near-field listening. The JBL Xtreme is musically inferior to both the Big Jambox and the Roar 2 unless you’re an absolute bass fiend.